Over the years, state lawmakers and governors have tried to deter the use of foreign workers, mostly with legislation or executive orders prohibiting state work from being completed overseas. But a Maryland lawmaker has what may be a unique approach with a bill now scheduled for a what could be a contentious legislative hearing. The legislation, HB 1366, has a simple requirement that's stirring a big pot. If it becomes law, Maryland employers will have to report the number of employees they have who are working on H-1B or L-1 visas. That's all the bill requires. The author is Maryland Delegate Mark Fisher, a Republican, who says that all he is trying to do "is measure how many people and in what industries are H-1B workers being employed in the state of Maryland. "Our state considers itself to have the most educated workforce in the United States," said Fisher in an interview. "If we have the most educated workforce in the United States, the question arises: How is it possible that tech workers and skilled workers would need to be replaced by H-1B workers?" Maryland lawmakers will hold a public hearing March 6. The bill was introduced a year ago in the last legislative session but did not advance. Fisher recently reintroduced the measure and is more optimistic about its chances because colleagues now understand its intent better. 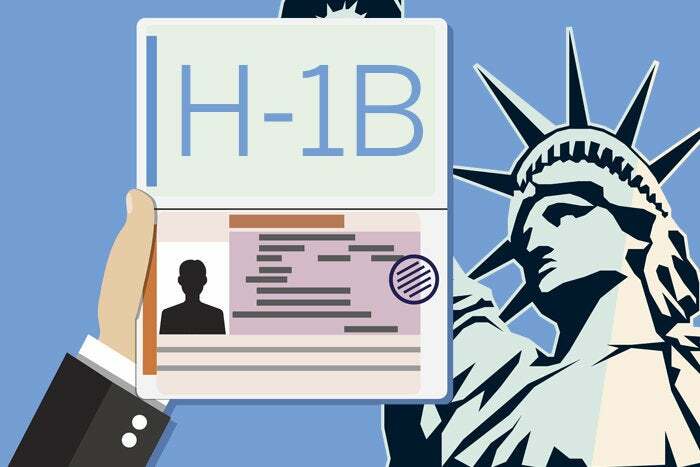 The H-1B and L-1 visa use data, which would be public, would be sent to the state's labor and education agencies. Fisher believes it would help the state measure visa use and identify potential training and education needs if employers are turning to foreign workers in certain occupations. The bill language, itself, is sharp edged. It says, in part, that "the citizens of Maryland should not, considering the current difficult employment prospects, face the threat of losing their jobs to individuals with H-1B and L-1 visas." The Maryland Chamber of Commerce, along with area immigration attorneys, opposed the legislation last year and will do so again. The bill "creates an unnecessary burden" on Maryland business, said the Chamber of Commerce in testimony last year about the bill, arguing that it "serves to alienate all multinational corporations, and other U.S. businesses in industries Maryland needs to attract, including: high-tech, research, medical, and pharmaceutical." Sheela Murthy, who heads an immigration law firm in Maryland, cites three major problems with the legislation. First, the federal government has jurisdiction on immigration matters and a separate state visa reporting requirement may be unconstitutional. Another issue, said Murthy, is that federal reporting requirements already provide data to the U.S. Department of Labor about where visa-holding workers are employed. She questions why the state should ask for the data as well. Murthy's biggest concern is the overall business burden being imposed -- as well as the message it sends about the state's business climate. Business owners may conclude that they are better off locating over the border in Virginia, said Murthy, and not waste time "in states that are putting in roadblocks or adding additional steps for me to have to jump through to provide data."